Definitely coveting these beauties and this hot number for the summer! i ordered the orange Toms a few days ago - that count? PS - great layout girl! - just keeps getting better and better everytime i see it! The dress on your collage is beautiful! P.S. This title totally got me excited for orange soda! So excited to get stuff in this color. I just got a Michael Kors raincoat in this color. Can't wait to feature it. 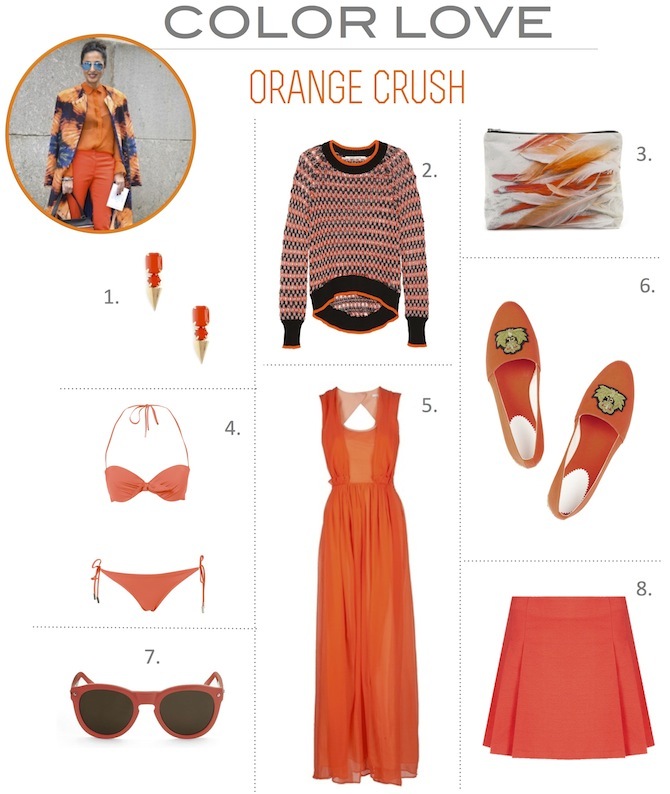 Oh Dear I have such a crush on orange!! I want that dress! one of my most favourite colours! i love that dress omg. ♡ great pics.